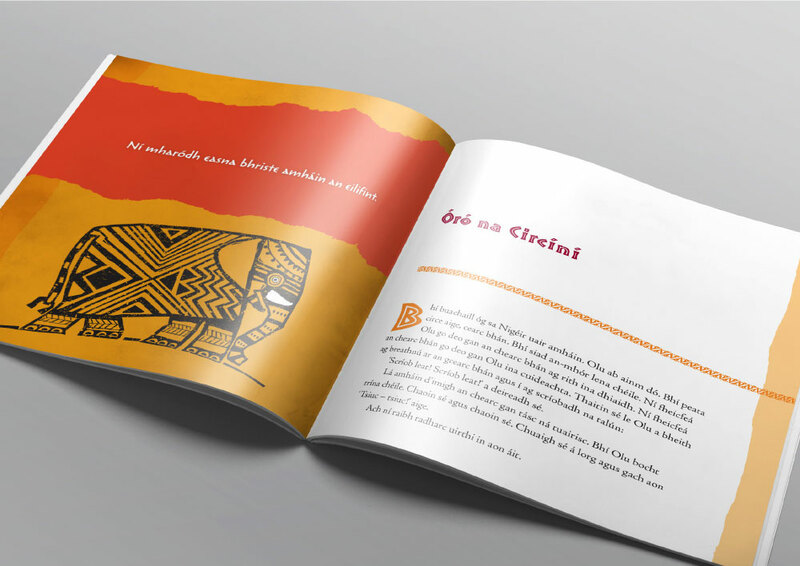 Book cover, interior design and art direction for Óró na Circíní. 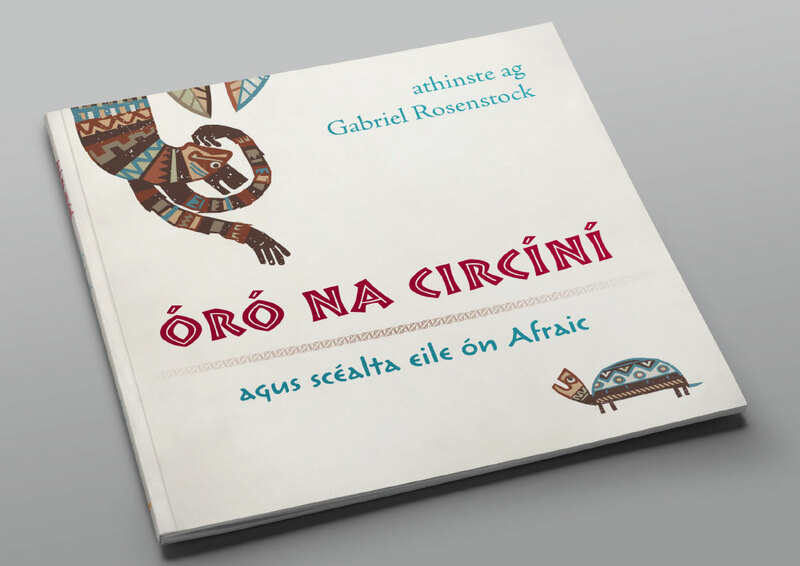 This book has been nominated on the shortlist of ten titles to compete for the Children’s Books Ireland Book of the Year Awards 2017, the most prestigious awards for children’s books in Ireland. 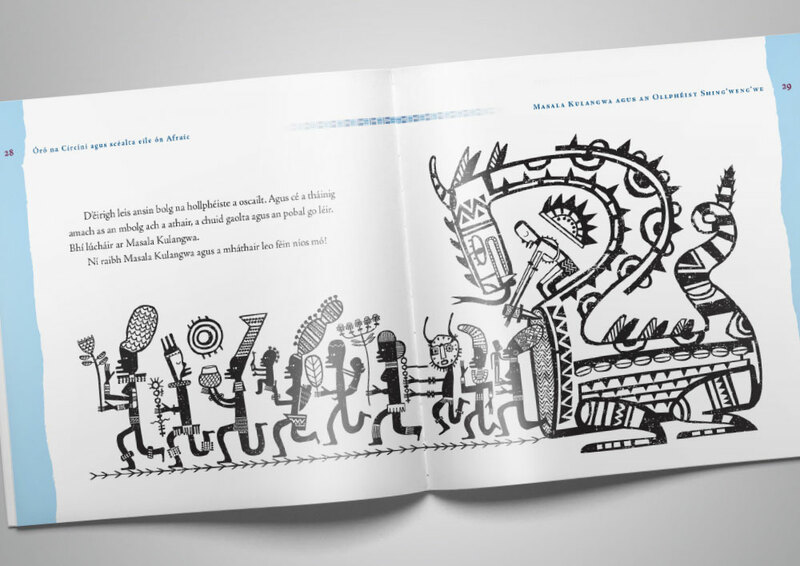 The book features over a dozen stories from the oral tradition of several African countries retold by Gabriel Rosenstock. 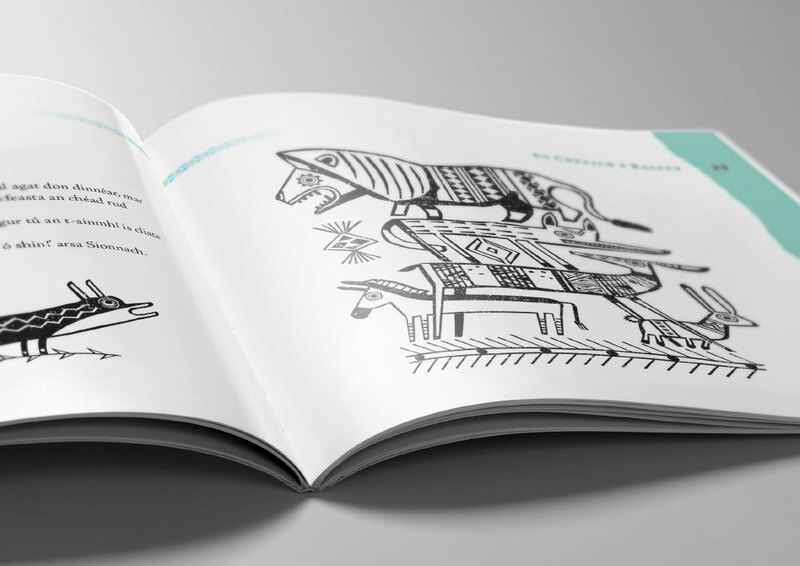 It is beautifully illustrated by award-winning illustrator Brian Fitzgerald.